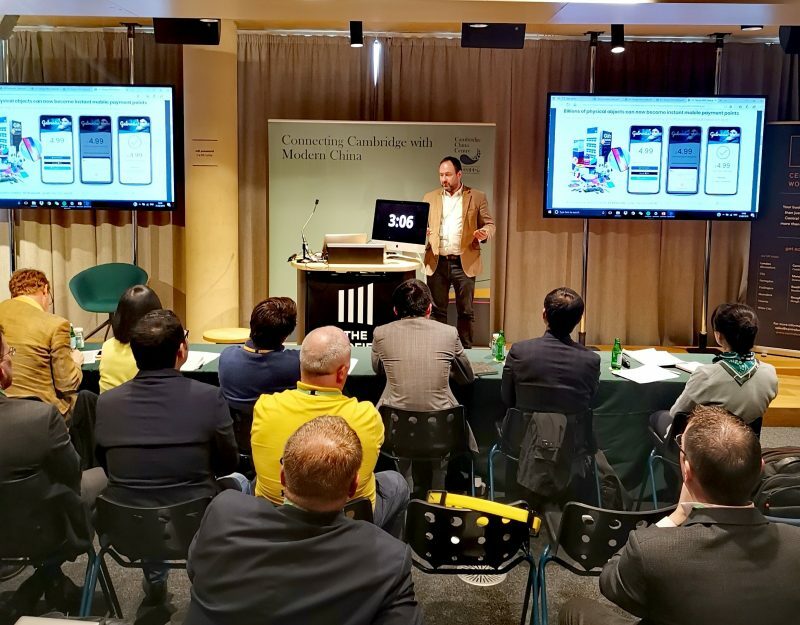 Connecting UK tech companies with Chinese investment. 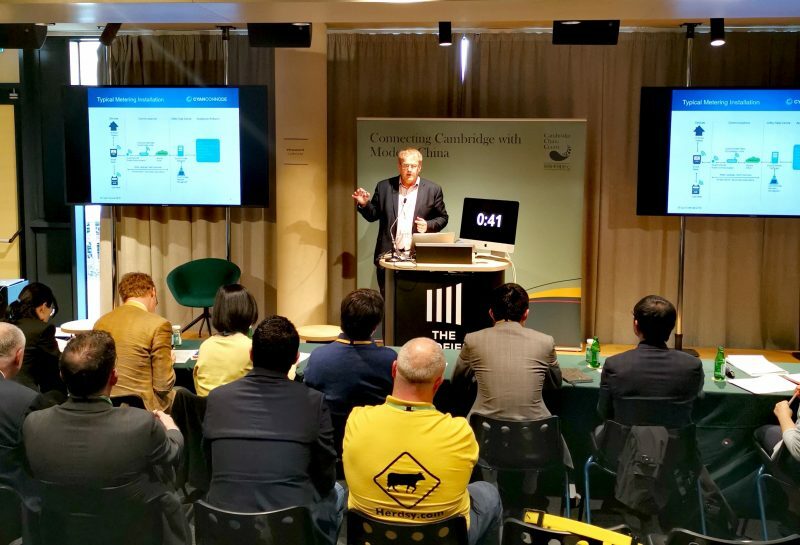 As part of our professional portfolio, Cambridge China Centre is frequently contacted by Cambridge companies looking for assistance with fund-raising or entering the China market. 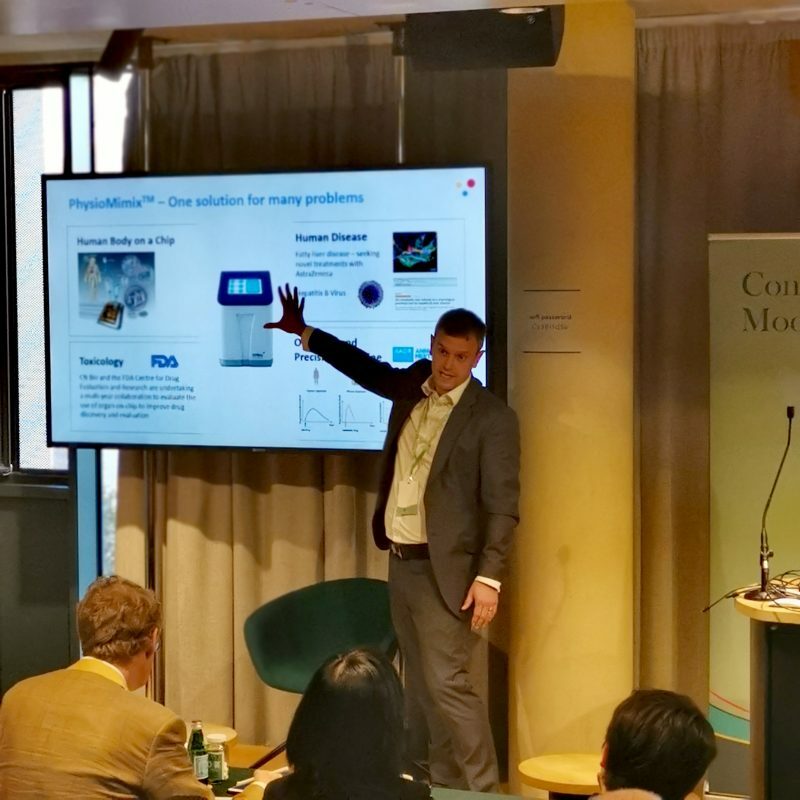 At the same time, we have a growing network of Chinese investors interested in investing in/partnering with emerging UK companies, particularly within the Healthcare and Biotech, AI, CleanTech, New Materials, AgriTech and Education sectors. 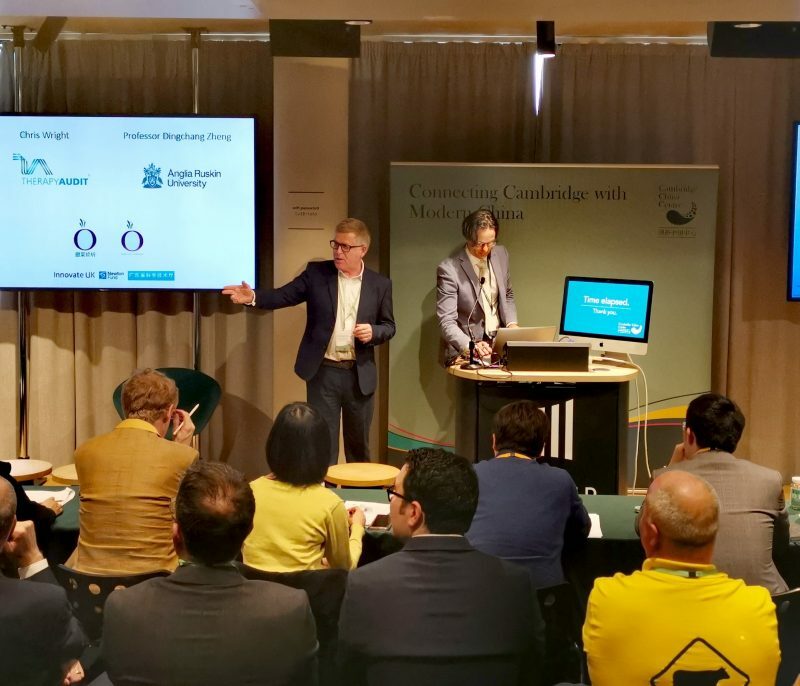 Cambridge China Centre organises Spring and Autumn Pitch Events with Chinese Investors, so as to connect UK companies with Chinese investment. 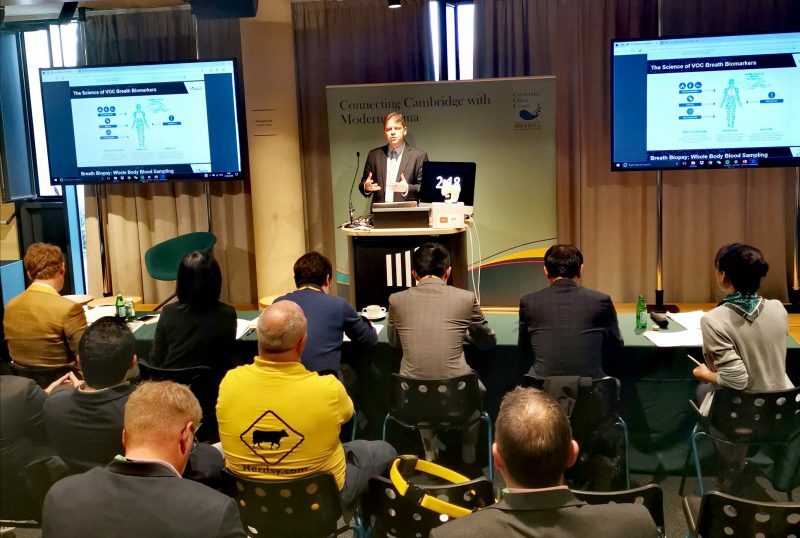 For the CCC Spring Pitch Event with Chinese investors held at the Bradfield Centre on the 21st March 2019, Cambridge China Centre received an impressive range of applications from the high-tech sector, including game-changing medical devises, industrial sensors, livestock monitors and the expansion of a UK-based science park. 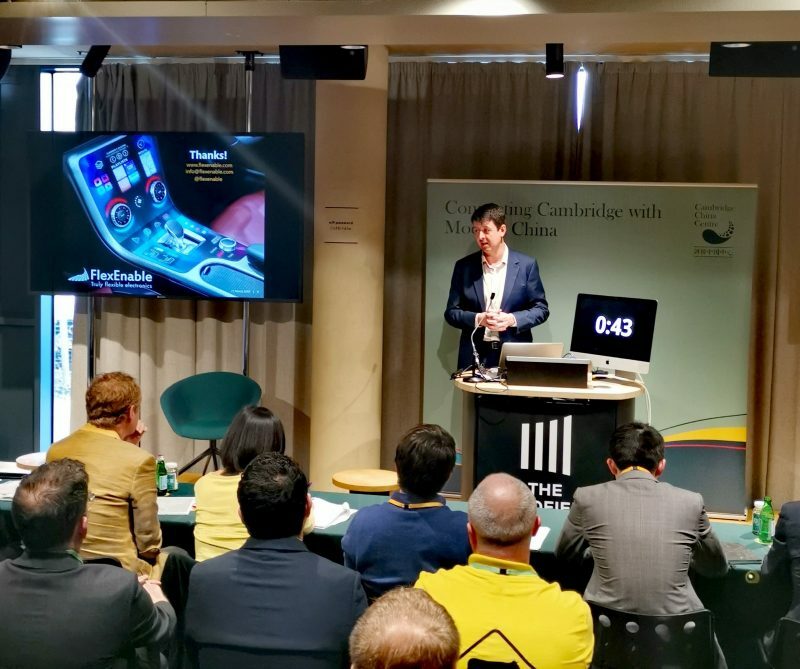 While we originally focused on Cambridge-based tech companies, we received applications from around the UK, including Norwich, Essex, Birmingham and Oxford. Some of the companies were new and looking for seed money, others had been around for years and were looking to scale-up internationally. 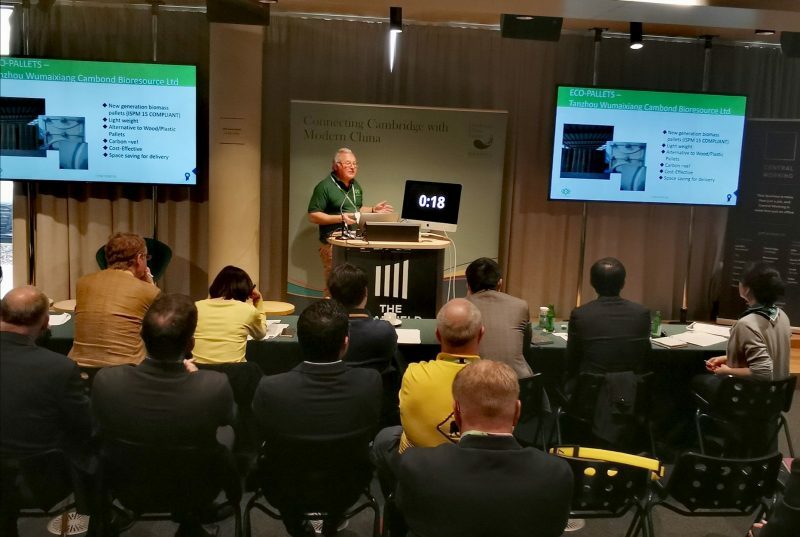 We had the challenging task of narrowing down the applications to fifteen that would be invited to pitch to the investors. 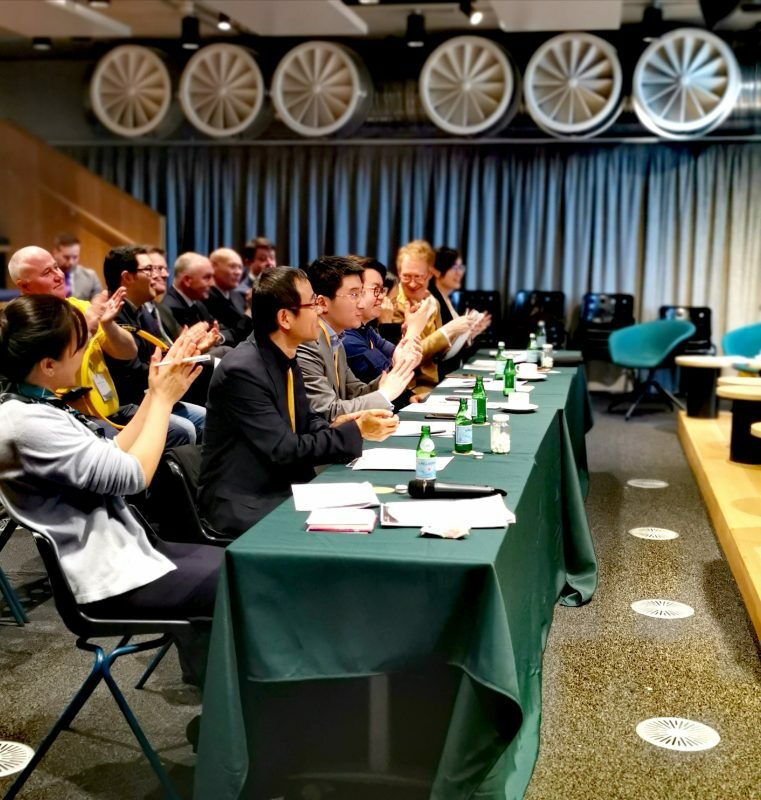 The ‘Final-Fifteen’ faced a format reminiscent of the Dragon’s Den and were given four minutes to pitch their products followed by three minutes for questions and answers with the investors. 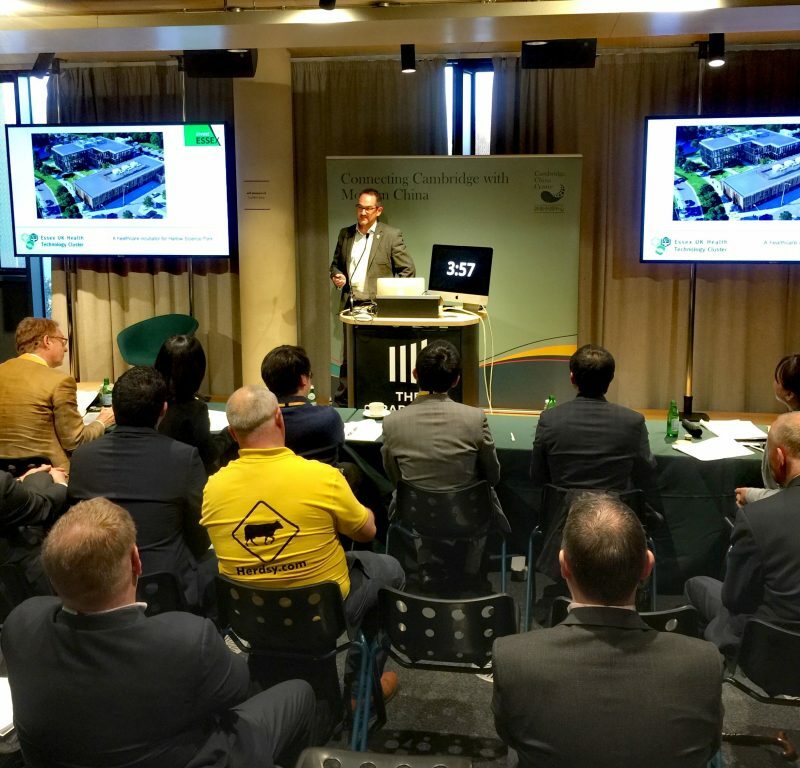 TusPark UK: The UK branch of the largest innovation ecosystem worldwide. 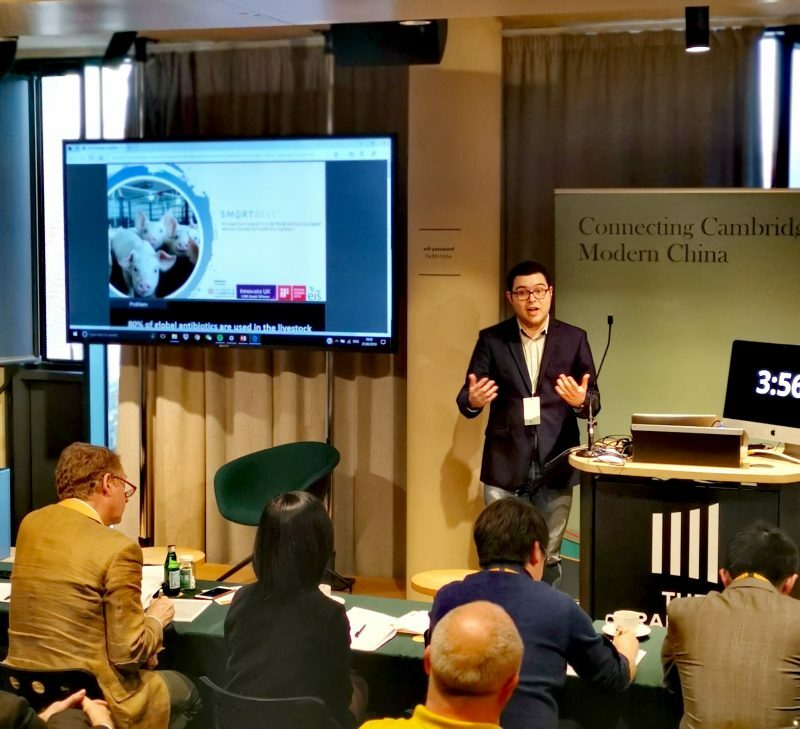 Puhua Capital: One of the most successful venture capital investment firms in China (focus on Healthcare, Technology and pan-culture companies). 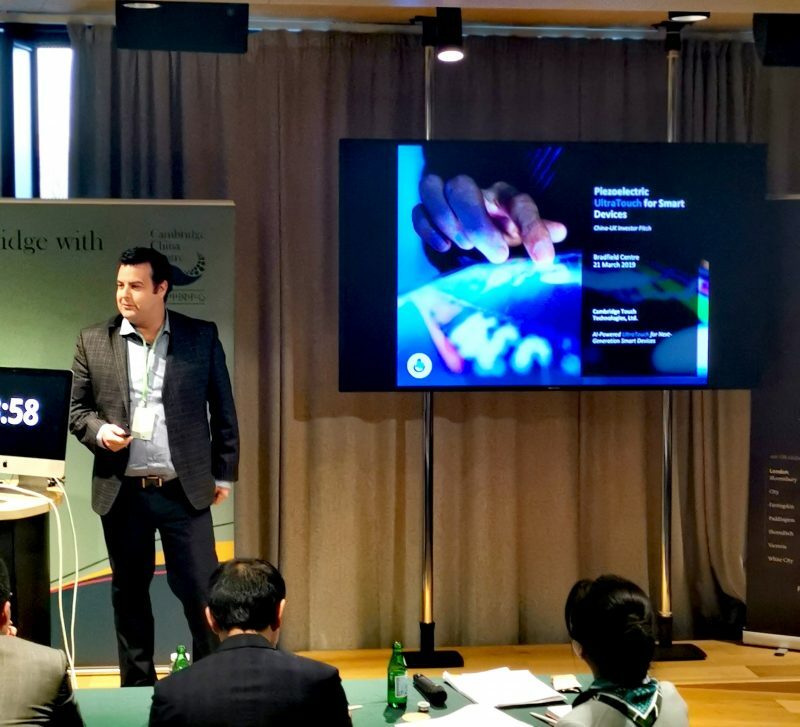 The UK China Enterprise Fund: The fund focuses on new materials, clean tech, AI, semiconductors, automotive and aviation industries. 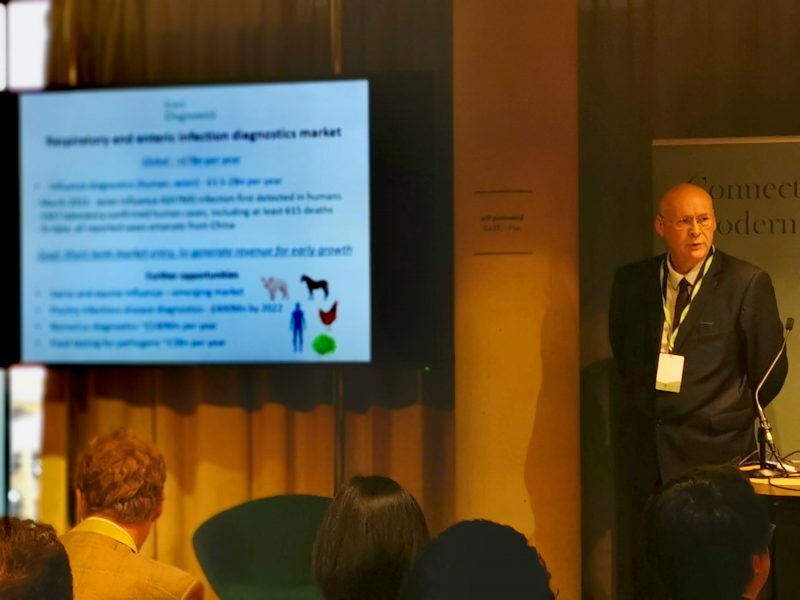 The Sino-UK Fund: An equity investment fund that finances market entry and development for UK companies entering the China (focuses on medtech, biotech, cleantech and agritech). Hangzhou Oxbridge Asset Management: Provides advisory and discretionary investment management services within China and the UK. 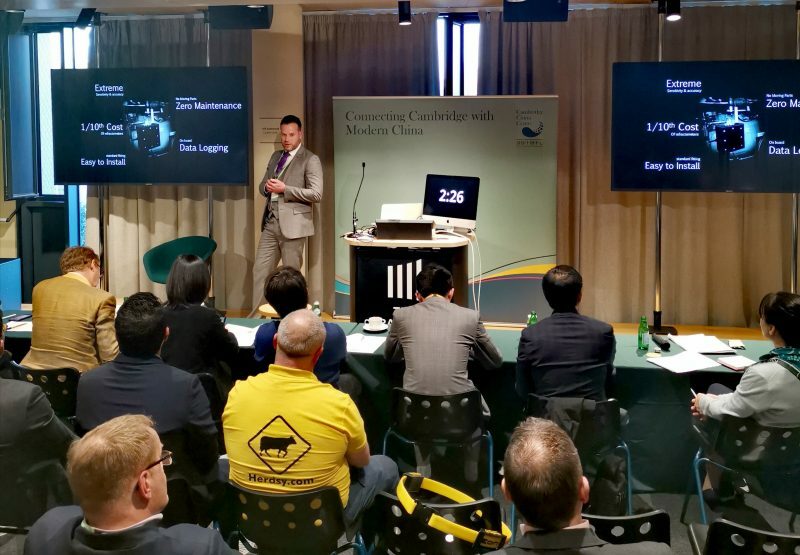 The event began with a speech from Simon Mead, the CEO of Cambridge Wireless. 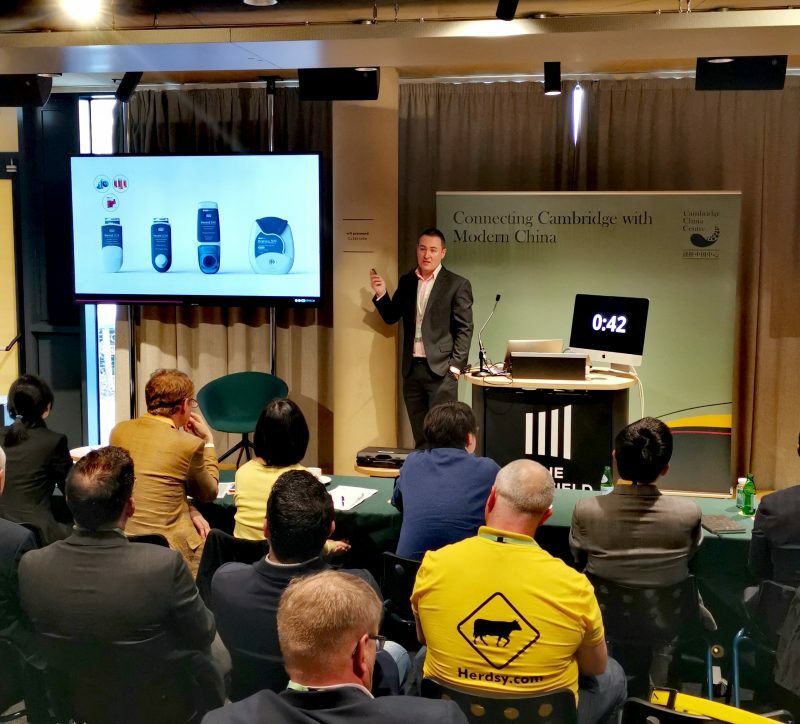 Mr Mead highlighted the interconnected relationships of the Cambridge Tech companies and explained that it was becoming increasingly common for larger established companies to come to Cambridge in search of experts to collaborate and make their businesses more competitive through modern technology. 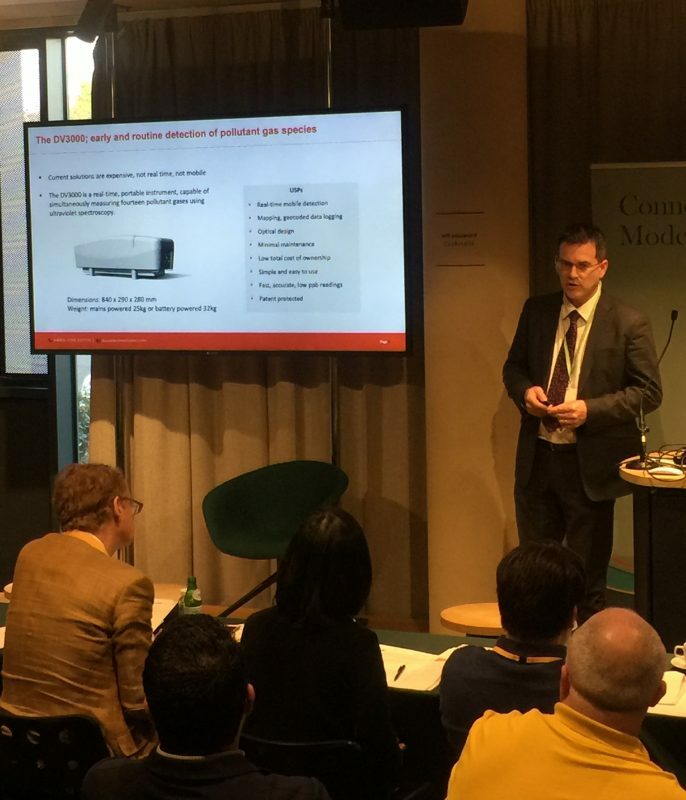 This model of the larger companies seeking out the smaller new ones to expand their opportunities is an exciting reversal of traditional models. 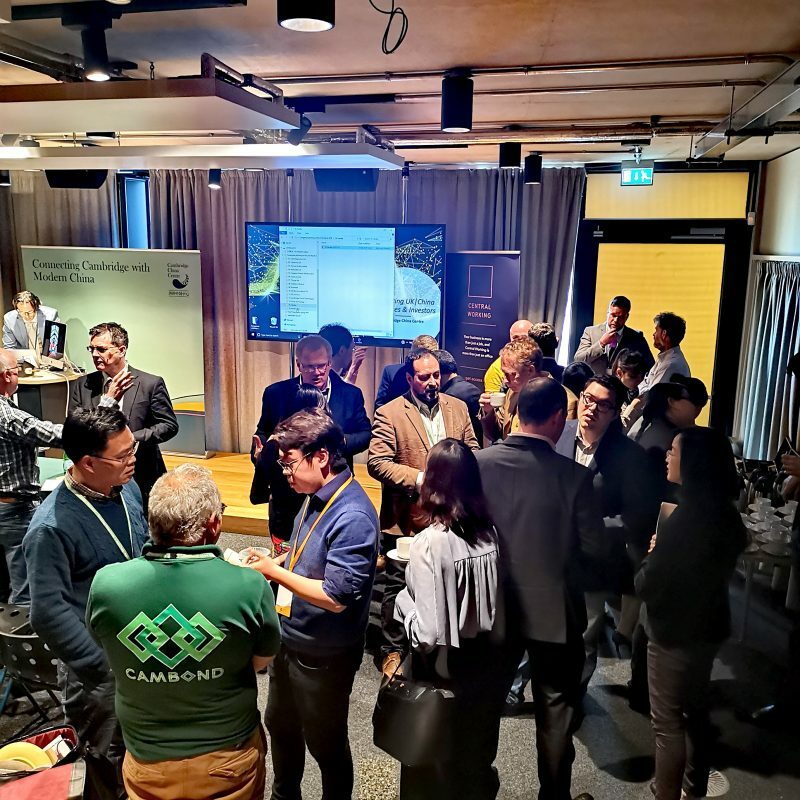 Along with the pitches and keynote speeches, the event had multiple opportunities for professional networking and exchanges of ideas and suggestions. 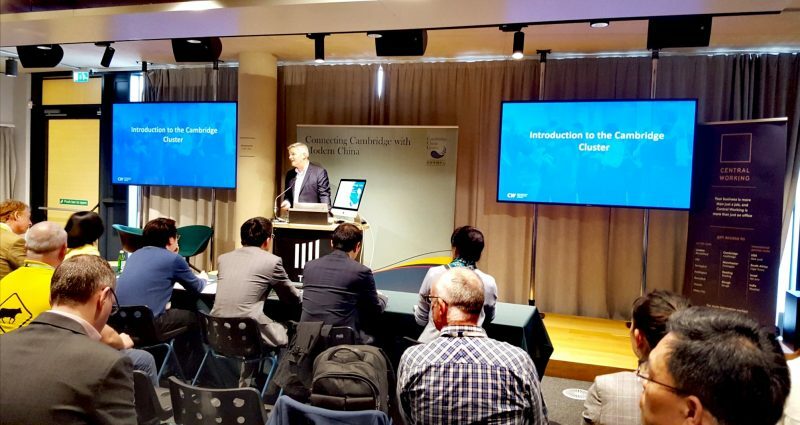 The company representatives emerged with advice from the diverse experts as well as a clearer understanding of how the Cambridge China Centre can work with them to help bridge the gap and cultures between China and the UK. 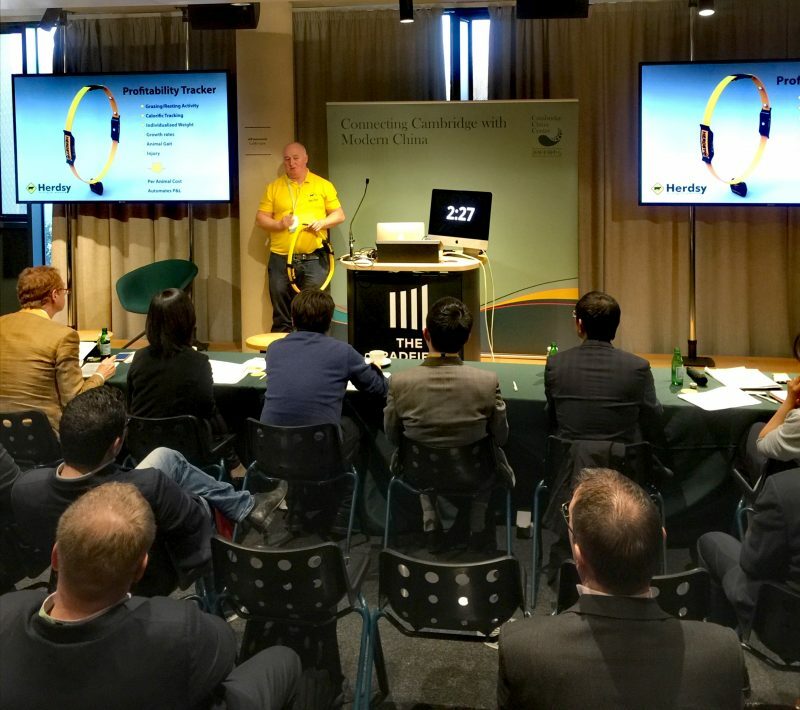 We would like to thank Business Weekly, The Bradfield Centre and Cambridge Wireless for their great support with this pitch event.